I love putting together gallery walls for clients. 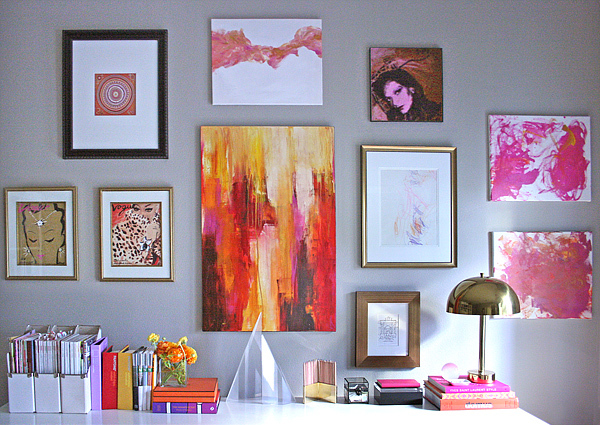 Whether using family photographs, artwork or a combination of, gallery walls always make a great statement. I love the colors and that it shows her unique personality. (Have you noticed how much I say, "love"?) 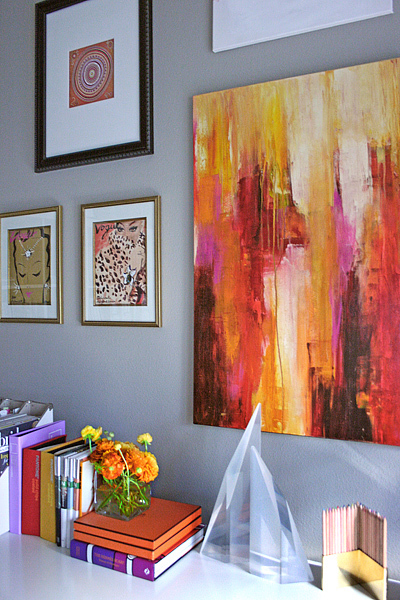 You can read about her gallery wall and see more photos on her blog here. I think this happened to everyone sherri....content was being restored by Blogger the last time I checked but don't think it has happened yet. Deb ... yeah, I'll give them one bad day. This office gallery is inspiring, thanks for finding it for us. I have seen this and it is certainly stunning!